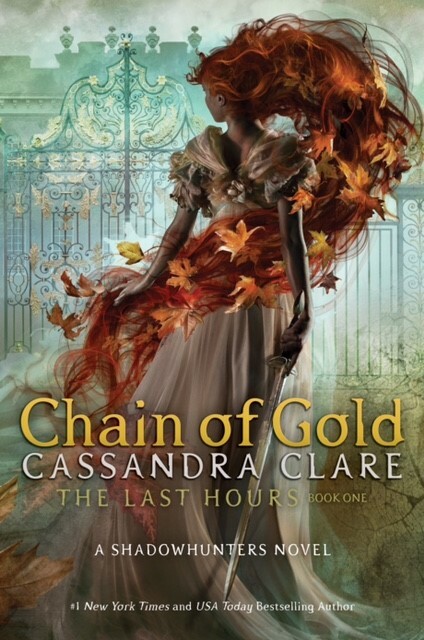 Cassandra Clare’s long-anticipated Chain of Gold, the first novel in her The Last Hours trilogy, won’t be released until later this year, but thanks to a new and completely thrilling sounding synopsis, we have plenty of time to come up with even more theories. Why is falling in love so dangerous? Is Elias’ crime as bad as Tobias Herondale’s? Could we maybe see a certain magician from Learn About Loss? How are the demons able to withstand sunlight? Could this be related to the plague that’s mentioned in the previous synopsis (see below)? What dark legacy and what incredible powers? Does this mean that James and Lucie Herondale as well as Cordelia have unusual powers? What’s the brutal choice that’s mentioned in the last sentence? What do you think of this new description? Sound off in the comments below! Chain of Gold is published on November 19 by McElderry (USA) and Walker Books (UK) respectively.